I have the following problem since upgrading to OS X 10.13.1 High Sierra on MBP 2017. A generic icon is shown for nearly all my apps. See the image below. Does anyone know how to fix this and get the applications icons back? Running Disk Repair out of Recovery Mode resolved this issue for me. Reboot while holding Command-R. Select Disk Repair from the menu. Select and Unmount Macintosh HD (if necessary). Select First Aid and run it. Restart from the Apple Menu. Not the answer you're looking for? Browse other questions tagged high-sierra dock icon . How to change dock icon when some app has created generic icon images? 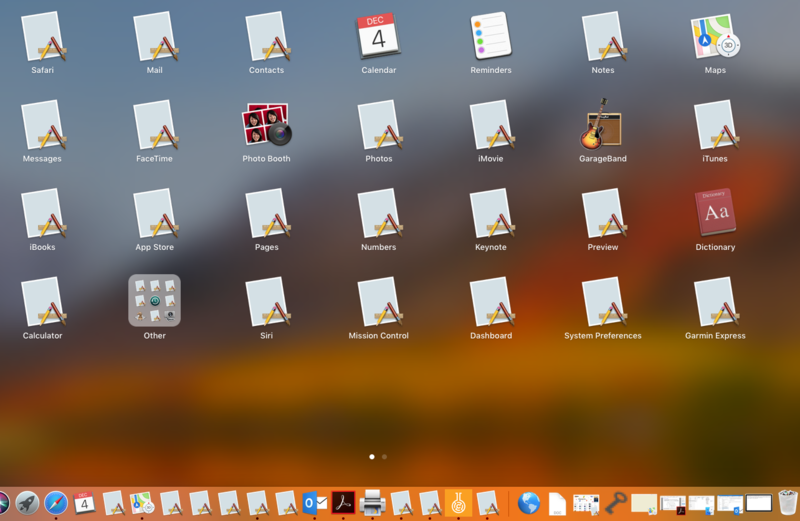 Can the Finder Dock be fixed to show all icons of aliases instead of some?